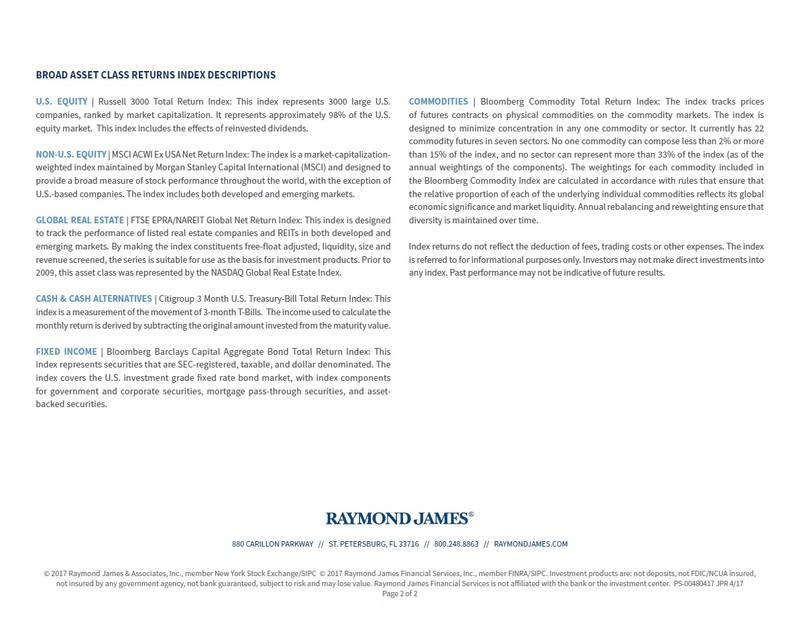 When it comes to investing there are many different asset classes to pick from. The average investor will often look in the rear view mirror rather than looking forward to make their investment selections. 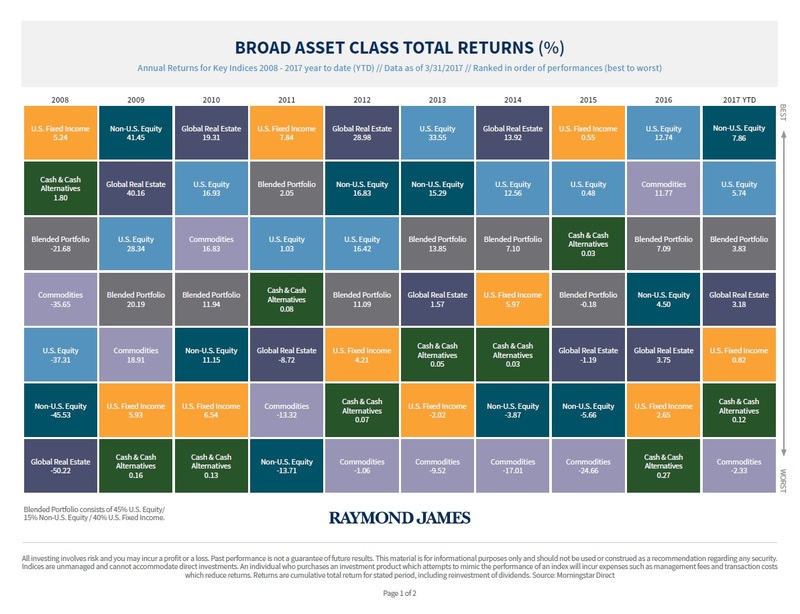 As you can see with this chart, returns for different asset classes can vary greatly from year to year and selecting just one can make for a very bumpy ride. We believe in diversification when it comes to investing to try and minimize volatility while still producing favorable returns. Not sure if you’re properly diversified? Please contact us for a no cost second opinion. Opinions expressed are those of Billy Peterson and not necessarily those of Raymond James. Diversification and asset allocation do not ensure a profit or protect against a loss.